This week, the brand new website for Kia at the Wexford Car Centre was launched, helping you learn more about buying new Kias and used cars in Wexford. Wexford Car Centre is the new home of Kia in Wexford, and are the only authorised Kia Dealer for Sales, Servicing & Parts in County Wexford. They have over 50 years experience in the motor trade, and over 30 years selling and servicing vehicles in County Wexford, and as a result Wexford Car Centre should be your first port of call to see their brand New Kia Range and their great selection of quality used cars. 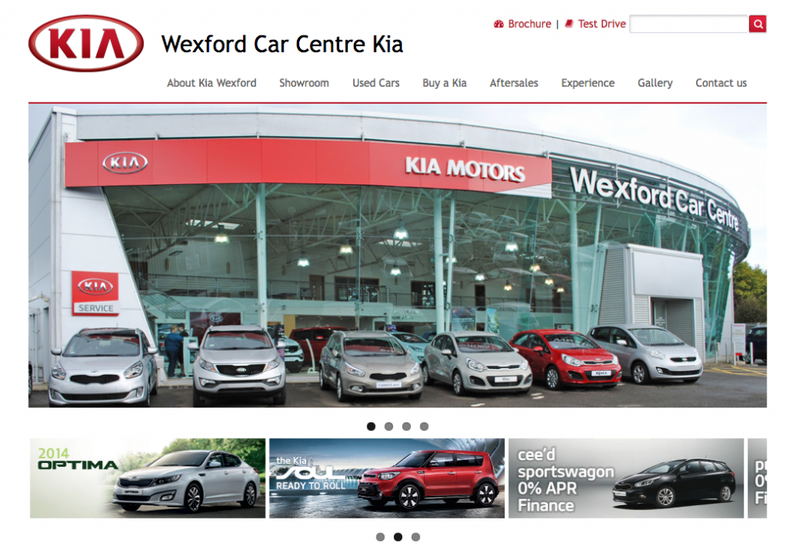 Visit the new Wexford Kia website.